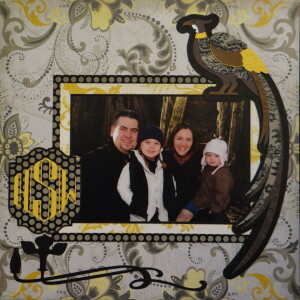 You will find family scrapbook ideas in this album of pages of a fall professional photo shoot of the family. 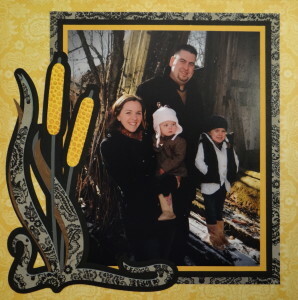 It took place at a farm where there was a rustic barn and then moved indoors for some Christmas pictures. 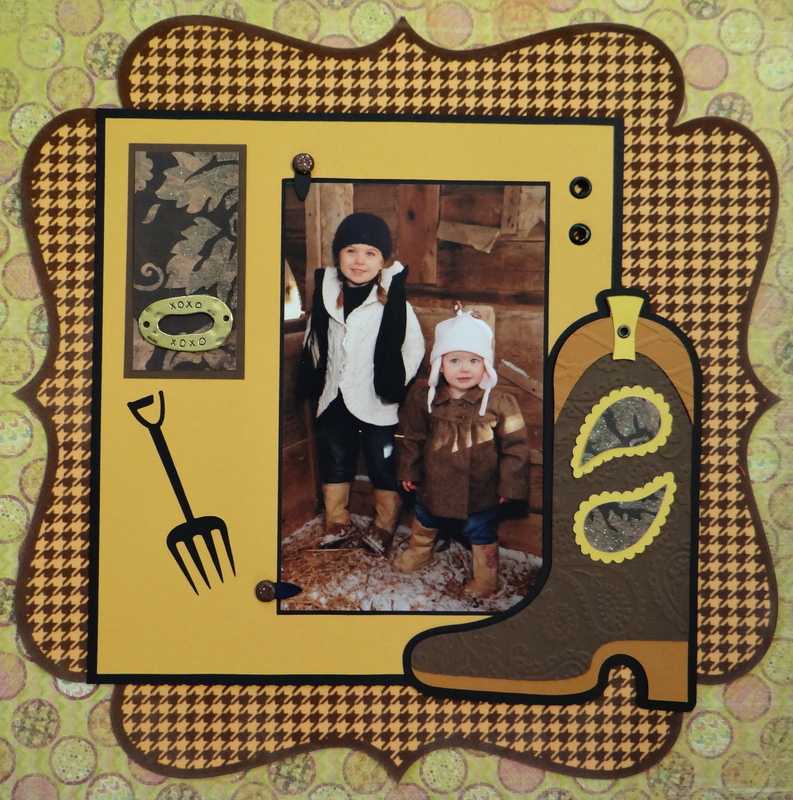 Inspiration: The rustic outdoor scene. 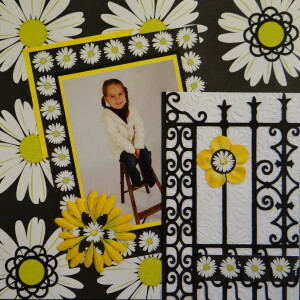 This scrapbook paper is from DCWV Lemon Flower Stack. I love it and used it so much I had to buy it twice. 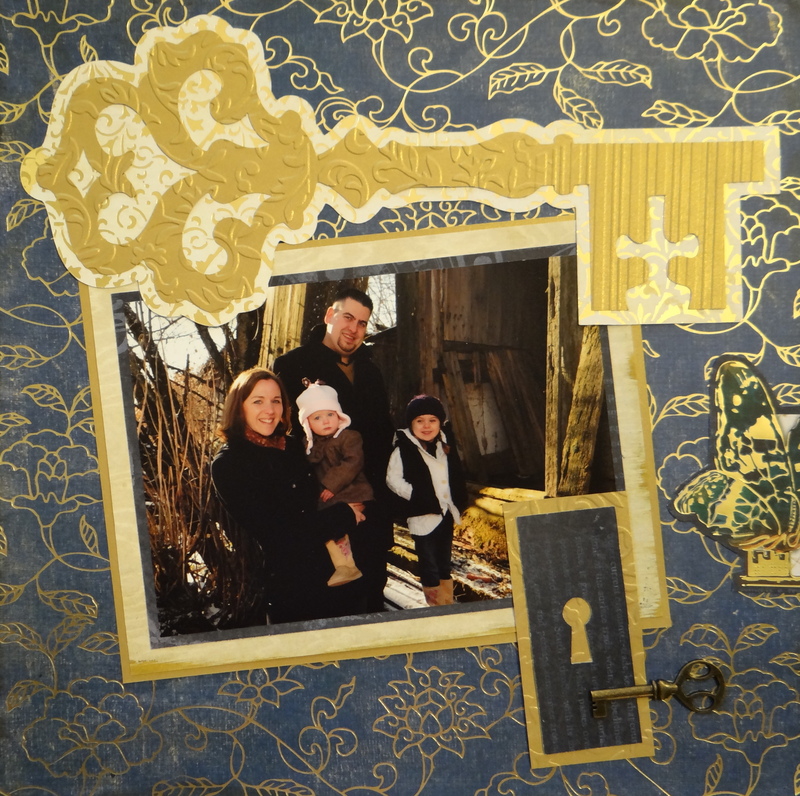 The bullrushes, flourish and pheasant are from Cricut Art Nouveau, the letters and crest are from Art Deco. 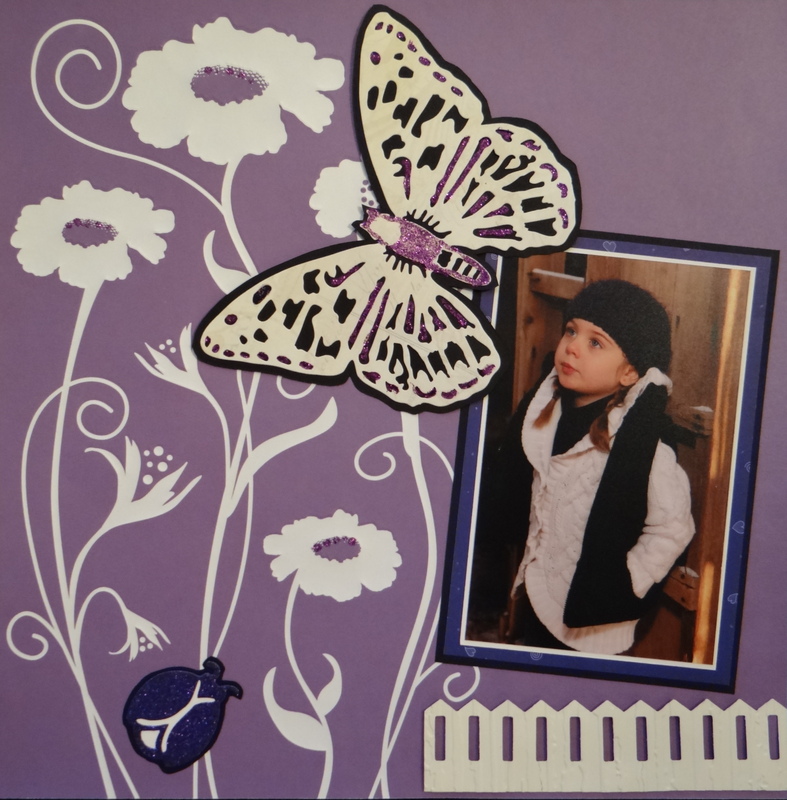 This is the page that I working on when I realized what a huge difference it makes to use patterned paper for some of the layers of Cricut images. I loved the effect and it changed the way I scrap. I love this page. 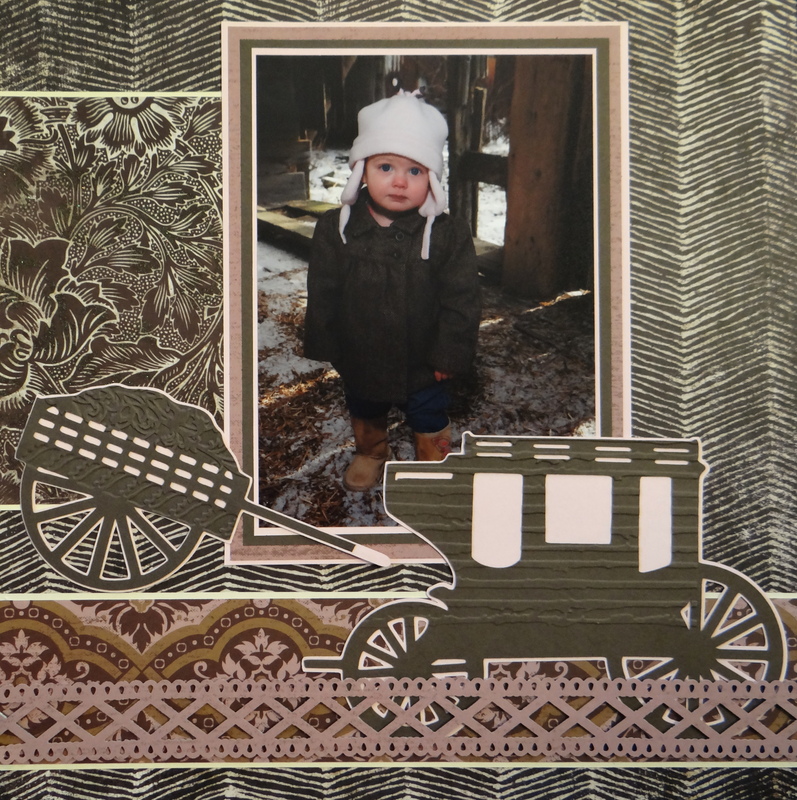 Inspiration: The baby girl is inside an old barn wearing a brown herringbone coat and a soft pink hat so I wanted an old heritage feel to this page. This scrapbook paper is from Anastasia’s Attic by Marcella. I used a Martha Stewart fence punch along the bottom. The horse and buggy and the coach are from Cricut’s Heritage cartridge. The cart is from My World. 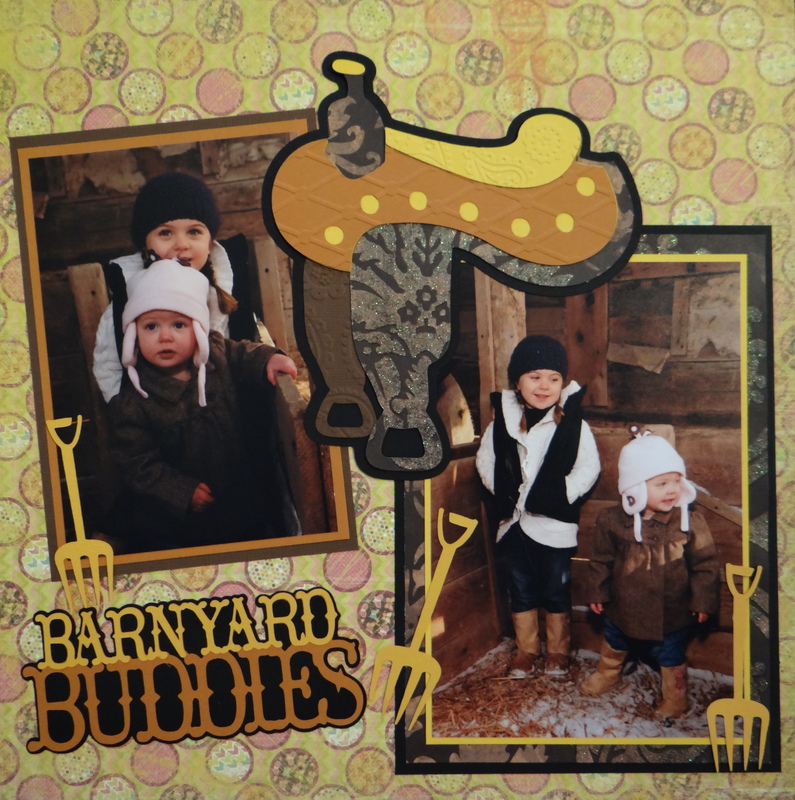 Inspiration: The girls are inside the barn and wearing their boots. That gave me a theme for this page. The scrapbook paper is from K& Co. Air World Drive Paper Pad. The hound’s tooth check is from a fall paper pack from Michael’s. 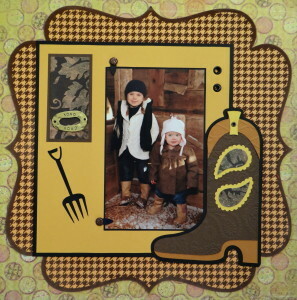 The saddle and boot are from Cricut County Fair, the title “Barnyard Buddies” is from Country Life was perfect and the pitchforks are from Freshly Picked. 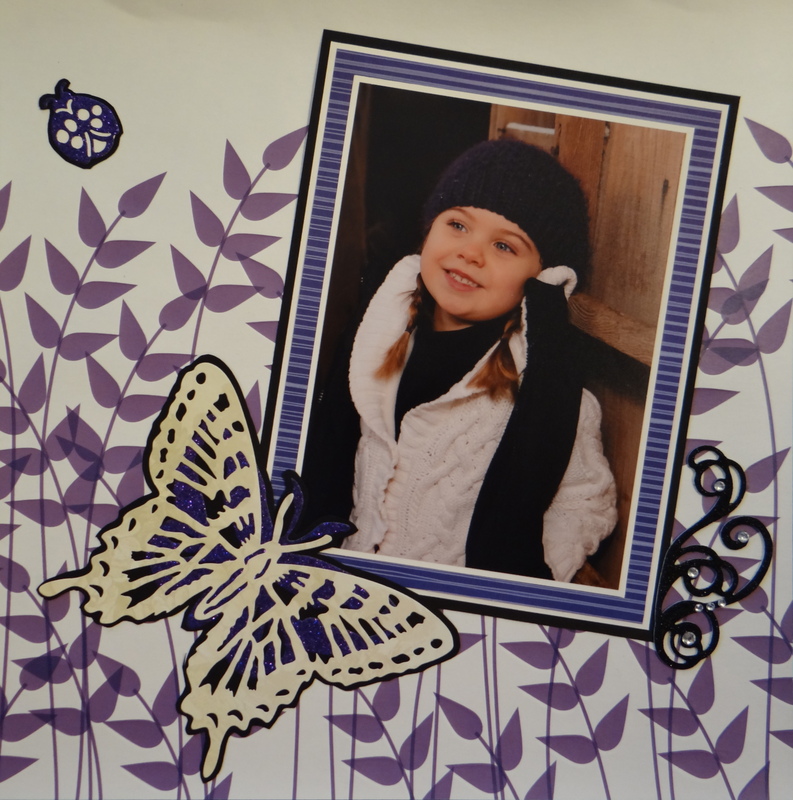 Inspiration: The girl is wearing a purple hat and white sweater. 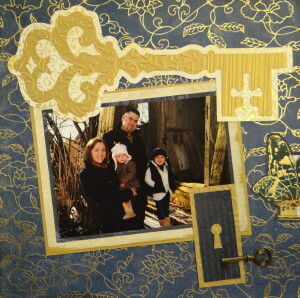 Inspiration: The title “Key to My Heart” inspired the whole page theme with keys. 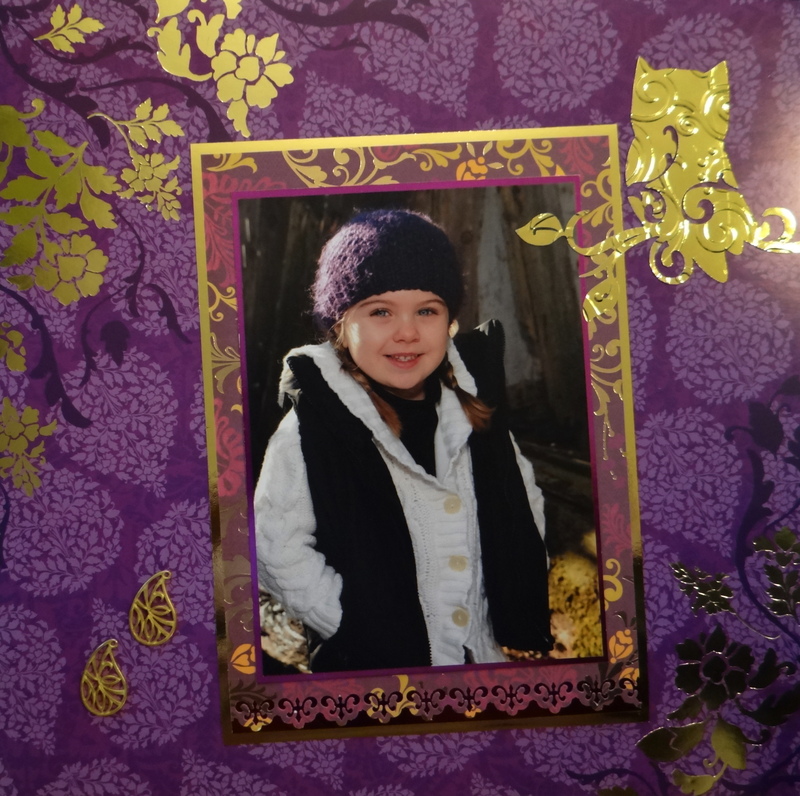 Inspiration: The girl’s purple hat the gold glowing wood. 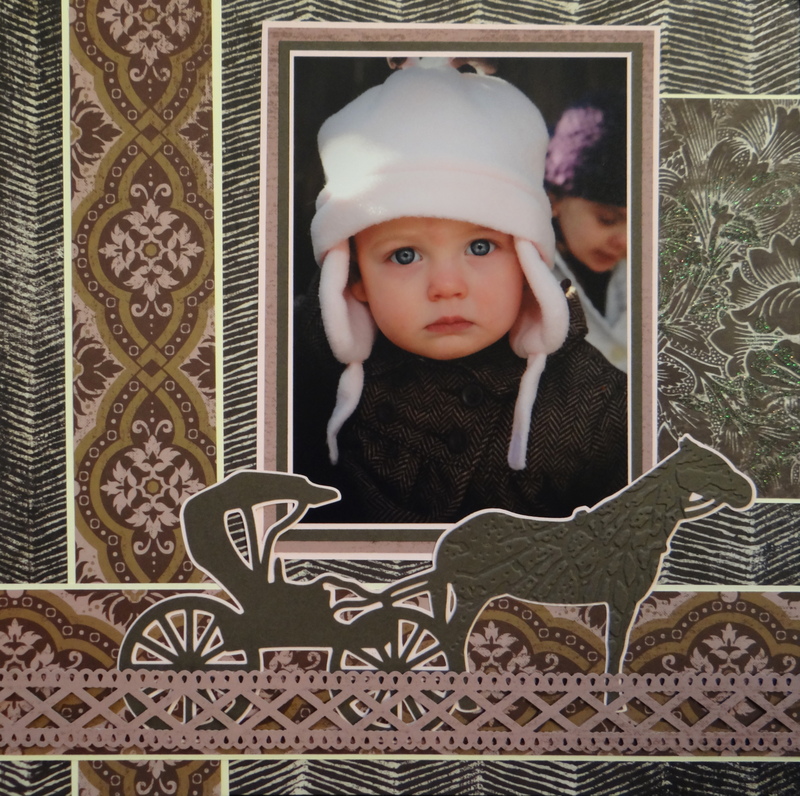 This beautiful scrapbook paper is from DCWV Saffron Paper Pad. 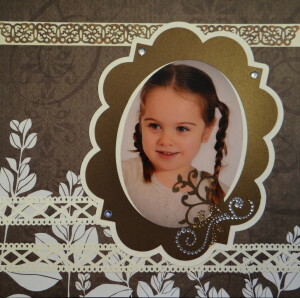 I used a Fiskars Border punch on the photo mats. The owl on a branch is from Cricut Wall Decor and More. The title “Picture Perfect” is from Phrases and was perfect. 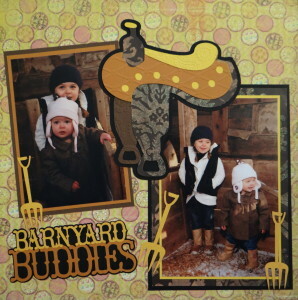 Inspiration: This little country girl is in a barn. 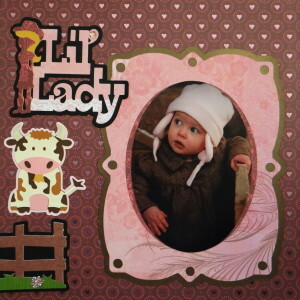 The title “Li’l Lady”, the cows, the bulls and the ranch sign are all images from Cricut County Fair. The right frame is from Elegant Edges and I used a Martha Stewart double arches border punch to mat the left photo. 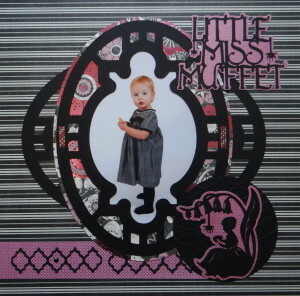 The scrapbook paper is from K&C0. Smitten Paper Pad. Inspiration: The girl’s white dress and the wood rocking horse. 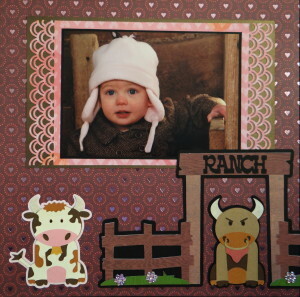 This scrapbook paper is from Colorbok Truffle Paper Pad. 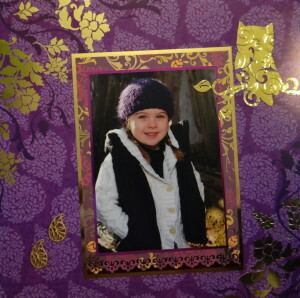 I used Martha Stewart border punches on the page and to mat a photo. 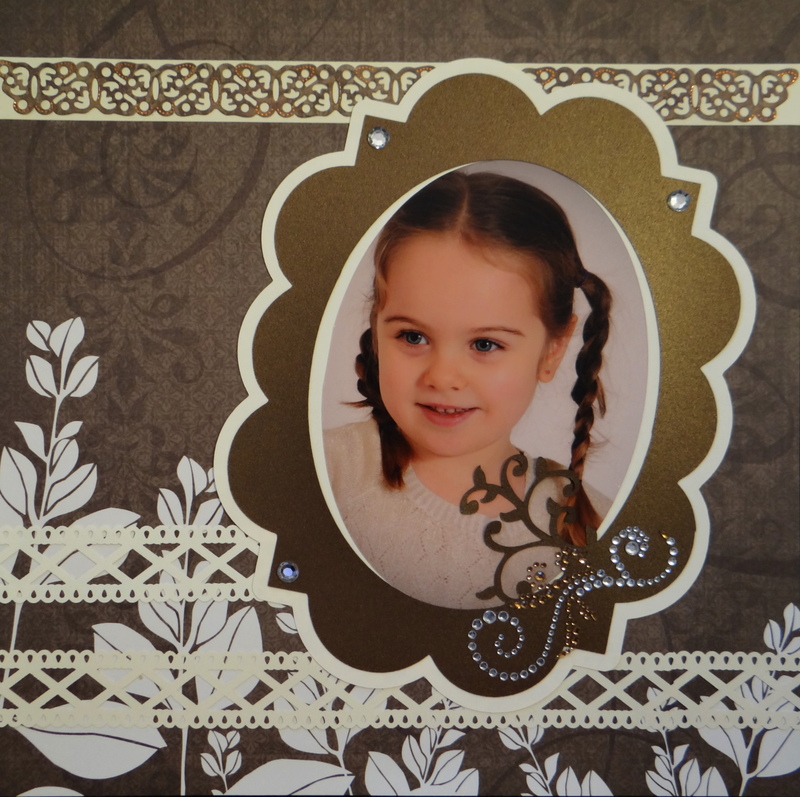 The right picture frame is from Cricut Elegant Edges. 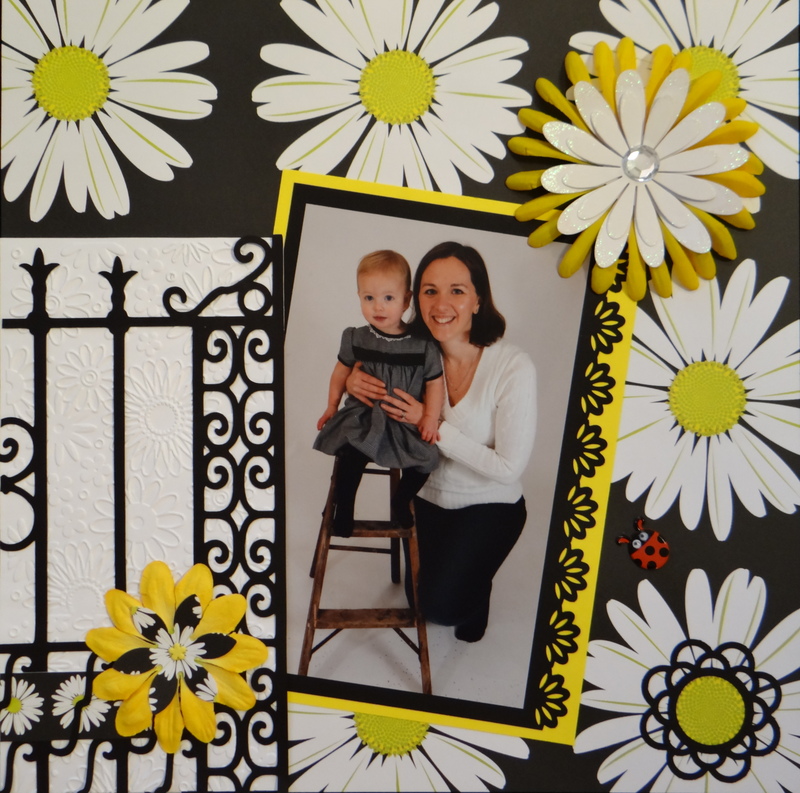 Inspiration: I wanted to pop the black and white outfits of Mother & daughter. 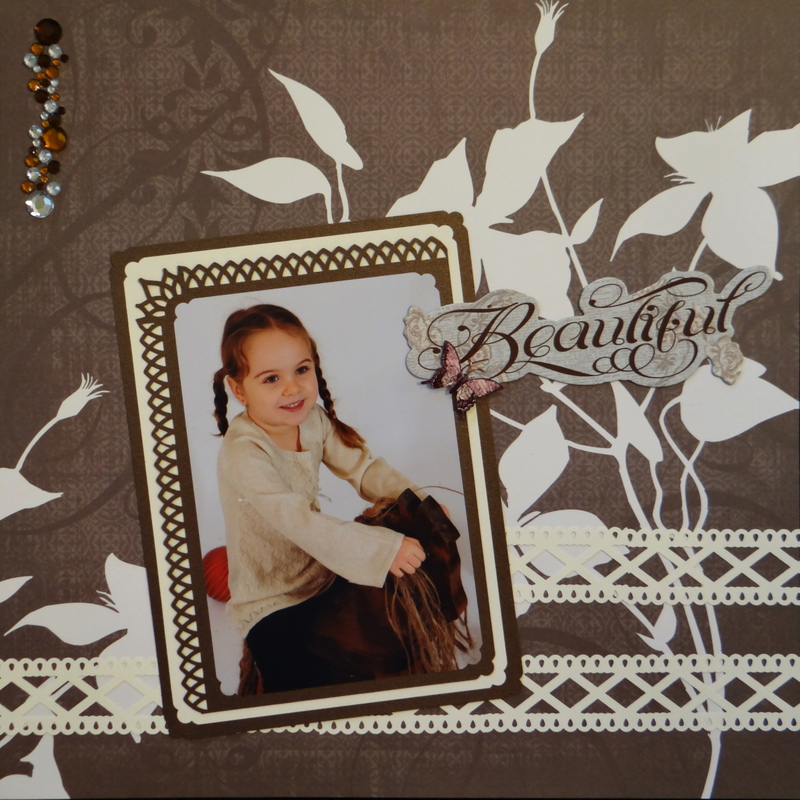 This great scrapbook paper is from Autumn Leaves Pretty Poppies Paper Pad. The gate is from Cricut Ornamental Iron. 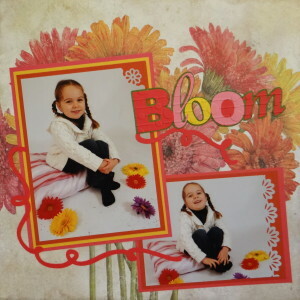 I used an ek success border punch to mat a photo. 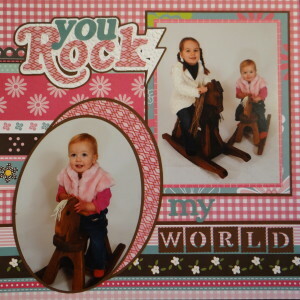 Inspiration: The antique rocking horses and the little girl’s pink outfit inspired an old fashioned look for this page. 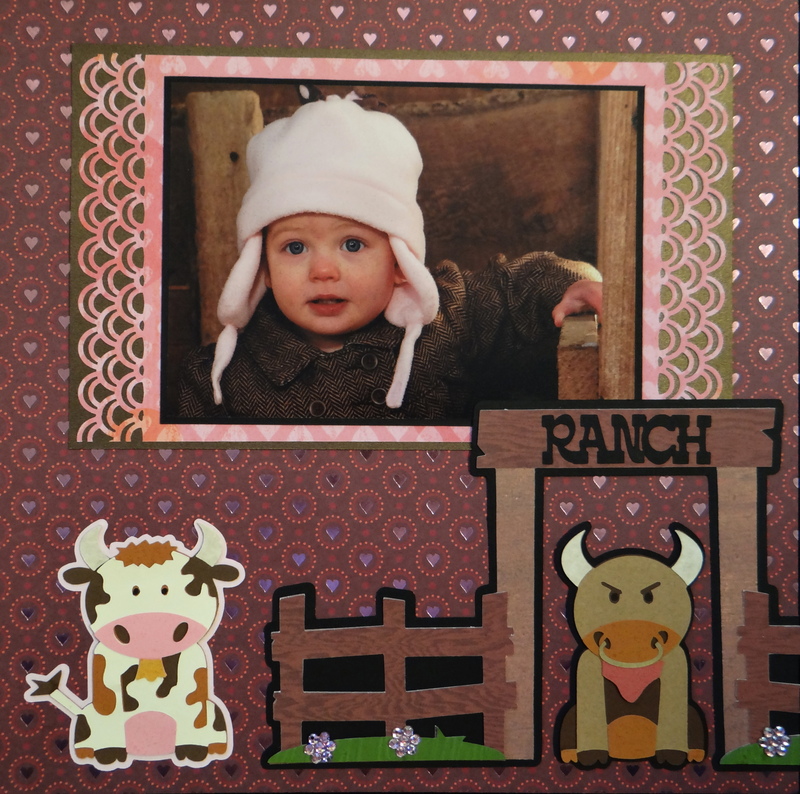 This scrapbook paper is from Paperage Cocoa Blooms Paper Pad. The title ” You Rock” is from is from Cricut Phrases. The font for “my world” is from Kate’s ABCs. 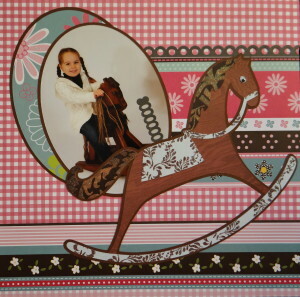 The rocking horse is from Joys of the Season. 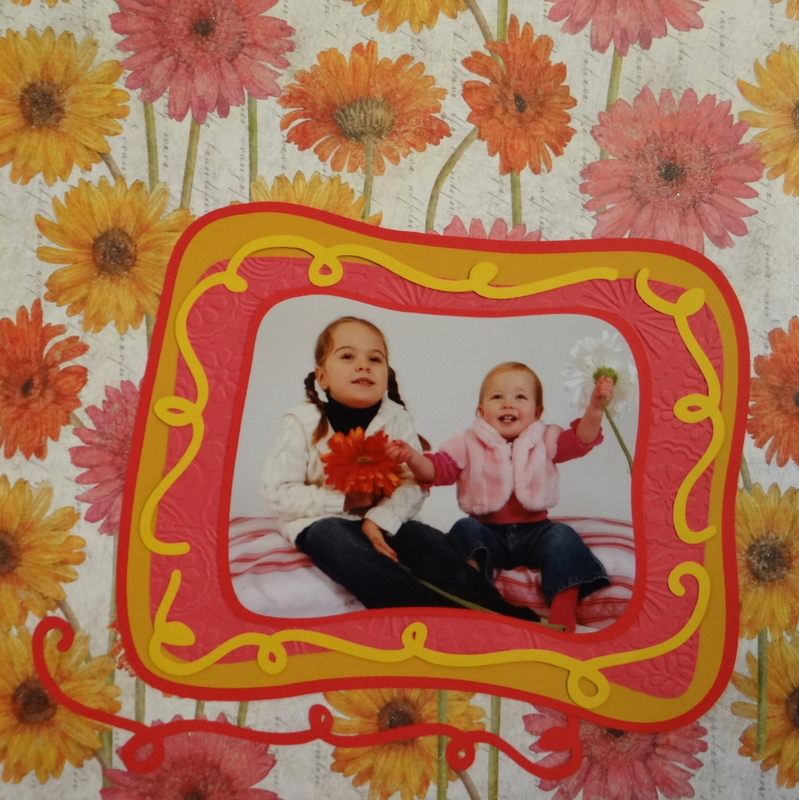 Inspiration: The gerbera flowers in the pictures of these sisters. 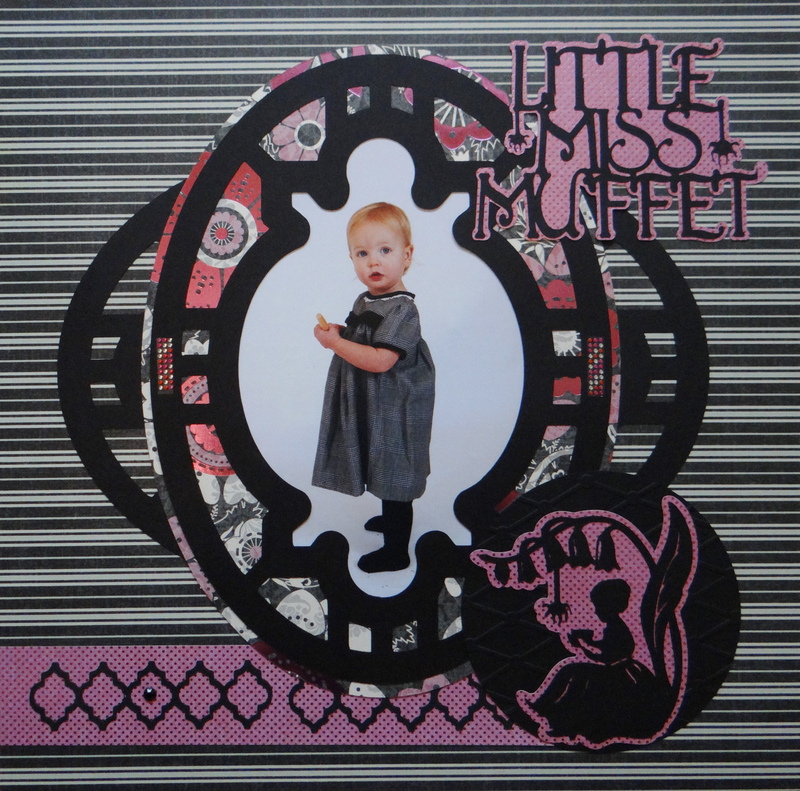 Inspiration: The Cricut image for Little Miss Muffet and I wanted to warm up the black & white in these photos with some pink. 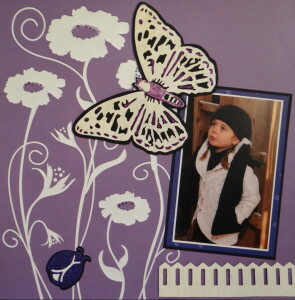 I love this scrapbook paper from DCWV Black Currant Paper Pad. 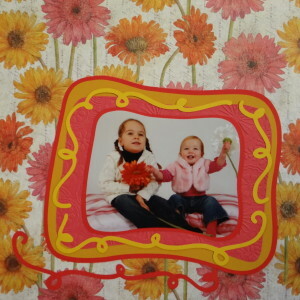 The frames are from Cricut Frame of Mind, the borders are from Paper Lace and the title “Little Miss Muffet” and girl image are from Nursery Rhymes.